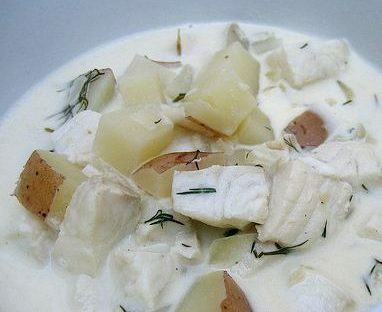 White Fish Chowder: You’ve heard of clam chowder, well this is our white fish chowder which has turned out to be a bit of a winner. 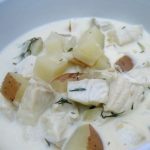 If you have the time and you have bought whole fish for this recipe, use the heads and tails to make a nice fish stock. Add a stick of celery, some onion and fresh herbs, a carrot. Simmer it for about an hour or longer in a slow cooker if you can. Use this in place of water. If you can make enough fresh stock, freeze it in ice cube trays. 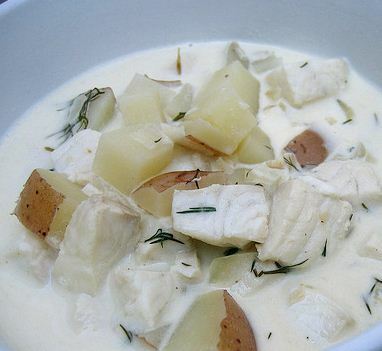 Even if you don’t use a stock, all of the flavours in this recipe produce a really good, clean tasting chowder to be proud of.